The latest rumors for AMD’s next generation graphics card has surfaced from TweakTown. From the looks of it, things aren’t running really great for AMD after they failed to negotiate an equity deal with Silver Lake in 2015 (Summer) and the discussions were put on hold, now it looks like another bad news has emerged as AMD faces a lot of troubles sourcing out next generation HBM2 chips for use in their high-end Arctic Islands GPUs arriving in 2016. Back in June, AMD launched the industry’s first GPU with the HBM architecture. Featured on the Fiji GPU, the HBM architecture went to become part of three graphics cards, the Radeon R9 Fury X, Radeon R9 Fury and the most recent, Radeon R9 Nano. A few months later, we will get to see a fourth addition to the HBM powered family in the form of AMD’s dual-Fiji behemoth, Radeon R9 Fury X2. The last card to feature HBM in AMD’s 300 series lineup will signal the green light for AMD’s 2016 lineup in the form of Arctic Islands family. The AMD 400 series family as it will be known by will have several enhancements in the form of higher energy efficiency and the FinFET process technology. It was very much expected that the next generation cards will feature new and improved HBM2 architecture that comes with 1 TB/s memory bandwidth but current rumors reveal that AMD may have a troublesome time sourcing out next-gen HBM2 chips for their brand new Arctic Islands family in 2016. The report comes straight from TweakTown who have revealed through an exclusive source that AMD might run in to trouble with HBM2 and there’s a possibility that AMD might totally rule out the use of HBM2 due to these issues and stick with the current HBM1 memory. Now one thing should be stated before we move forward with this report, the report is surely shocking news for AMD fans but not to be taken as an official confirmation. It’s very much a rumor at this stage and the source over at TweakTown provides no detailed reasons for the exclusion of HBM2 from AMD’s roadmap. The rumors also indicated earlier that AMD will have their Greenland GPU featuring around 17 billion transistors and 32 GB of HBM2 VRAM on-board. The source indicates that AMD could have at least one card with HBM2 VRAM with the rest of the lineup featuring HBM1 chips. While HBM1 is limited to 4 GB as more dense designs will now be available with HBM2, it means that anything below the Greenland GPU if not based on the HBM2 will limit the overall high-resolution performance beyond 4K. 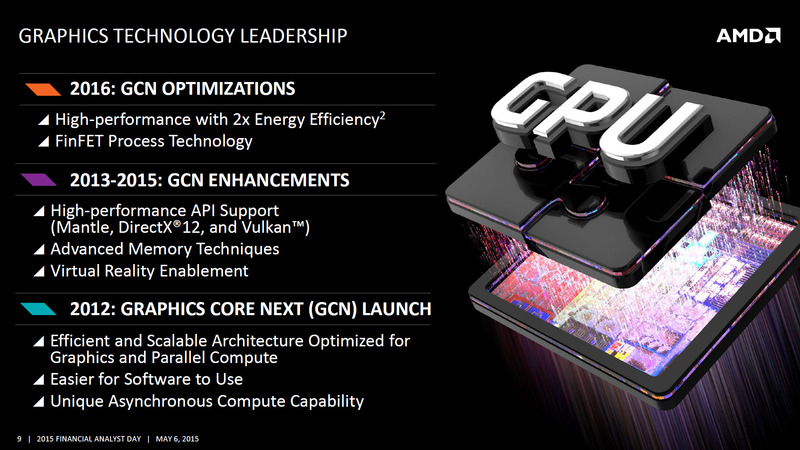 But if AMD does have serious issues acquiring HBM2 chips for their next generation GPUs, they will give away the opportunity to NVIDIA who are focused to deliver their Pascal GPU by as early as 1H 2016. NVIDIA’s Pascal GPU which will be based on TSMC’s 16nm FinFET process is going to have 16 GB HBM2 memory on consumers and up to 32 GB HBM2 memory on flagship professional and dual-chip parts. NVIDIA has the choice to go with either SK Hynix or Samsung while AMD will stick with SK Hynix as their partner for HBM since they helped AMD develop the memory architecture in the first place and make it a standard. AMD faced some supply issues with HBM with their Fury series as the memory standard was still in its infancy but now supply issues seem to have been sorted out but AMD might have similar issues when they enter HBM2. If AMD does indeed give the HBM opportunity to NVIDIA, they will have serious troubles gaining market share in 2016 as both 2014-2015 so a huge loss for team Red in the discrete graphics market. Just recently, AMD gained a small fraction of market share back from NVIDIA however they still have a lot of way to go up as NVIDIA has gathered a large 80% GPU market share in the discrete graphics market. The performance of next generation graphics cards is indeed going to shake things up. Currently, we see the integrated graphics processors from Intel and AMD closing up on entry level discrete cards but when FinFET comes, we will once again see entry level cards featuring twice or more performance. 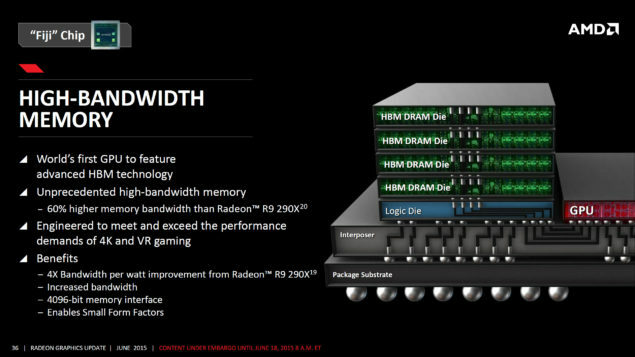 AMD is planning to incorporate just as much HBM2 memory as NVIDIA’s professional and high-end solutions with up to 32 GB of VRAM. The consumer oriented parts will stick with 8-16 GB but the more high-end professional cards will get insane amounts of HBM2 with speeds of 1 TB/s. Technically speaking, both AMD and NVIDIA GPUs sound same in specifications but the ultimate decider would be the price, performance and total efficiency of these cards.